It’s a debate that to this very day causes bloodshed. It turns brother against brother, and sons against fathers: The 16-bit Sega-Nintendo console war. That’s what it became known as, anyway. At the time, although people picked sides and advertisers took cheap shots, it was all in good fun. I’ve been lucky enough to play and eventually own all the Sega and Nintendo consoles. In the early to mid nineties, I went from Sega to Nintendo and back again – my friends would happily swap consoles back and forth so we all got to play each others’ systems. I can say that the Super Nintendo was my favourite, but armed with experience, I feel it is my duty to put an end to hostilities once and for all. So, which console really was better? 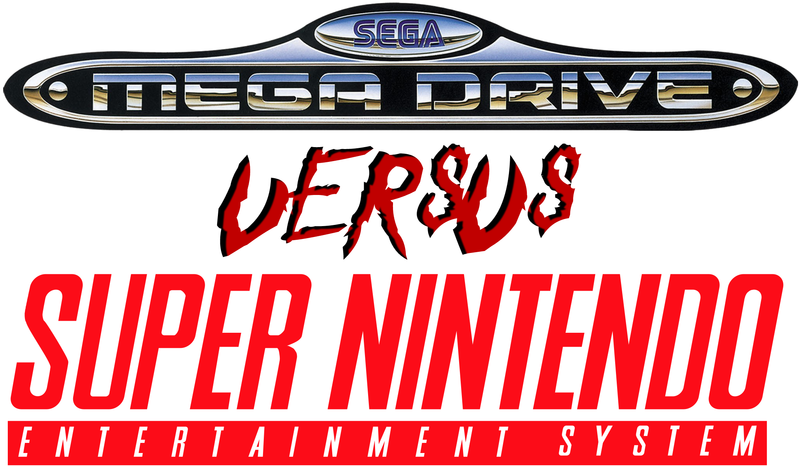 The Mega Drive or the Super Nintendo? Read my completely objective comparison to find out. I loved dinosaurs when I was little. Most kids go through a dinosaur phase, no doubt because of the prevalence of dinosaur toys; every kid has a plastic T. rex or stegosaurus at one time. 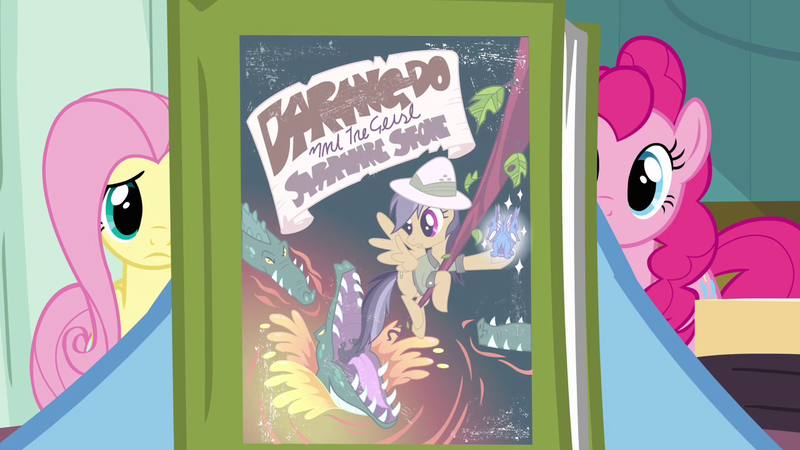 But I had a specific love of dinosaurs. I loved learning about all the different species, their names, where they came from and what strange and uncanny forms they took. Sometime during the very early nineties, dinosaurs came back in a big way thanks to the upcoming Jurassic Park. I remember my parents sent off for a big poster and sticker set. 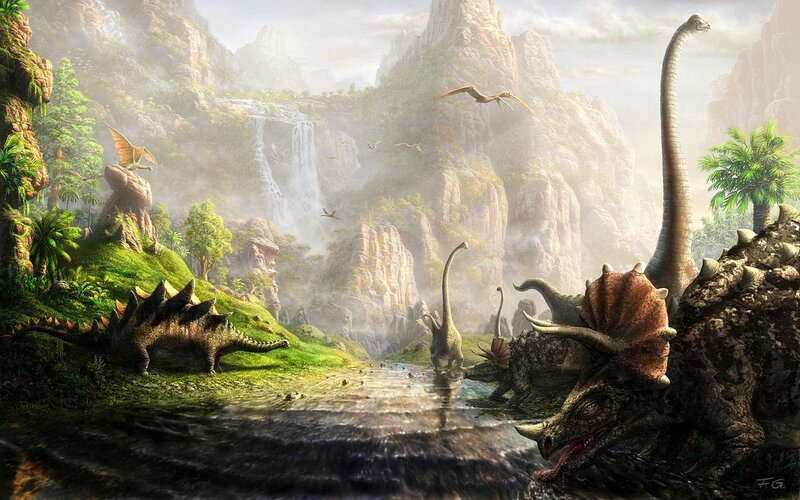 It depicted a typical prehistoric scene – sauropods wading in lagoons, winged pterodactyls silhouetted against a blazing sky thick with clouds of volcanic ash. I loved it! I had quite an imagination back then, and looking at that scene transported me back to the ancient past. Being something of an expert, I can name them all. Left to right we have stegobeast, Smaug, dippydocus, monstro-swan and spikeface.